There are two types of amino acids: essential and nonessential. Essential amino acids cannot be synthesized by the body so must be obtained from our diet. 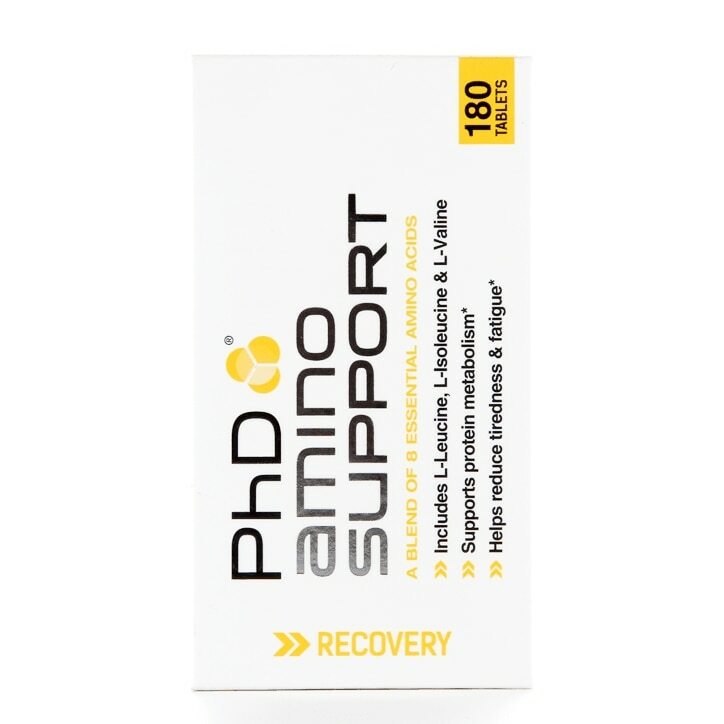 PhD Nutrition Amino Support contains 8 essential amino acids, including the 3 BCAAs, which are often used as part of an athlete’s training and nutritional plan. Alongside these important amino acids, PhD have also included vitamin B6, which provides a variety of health benefits such as protein and glycogen metabolism, nervous and immune system function and the reduction of tiredness and fatigue. Take 3 tablets twice daily with meals to support protein intake.